The starting point for this tree was Rococo an 18th century artistic movement. Extravagant mansions decorated with swirls of gold and fanciful imagery. This year white and gold were incredibly popular colour trends at the design shows and a perfect fit for this theme. 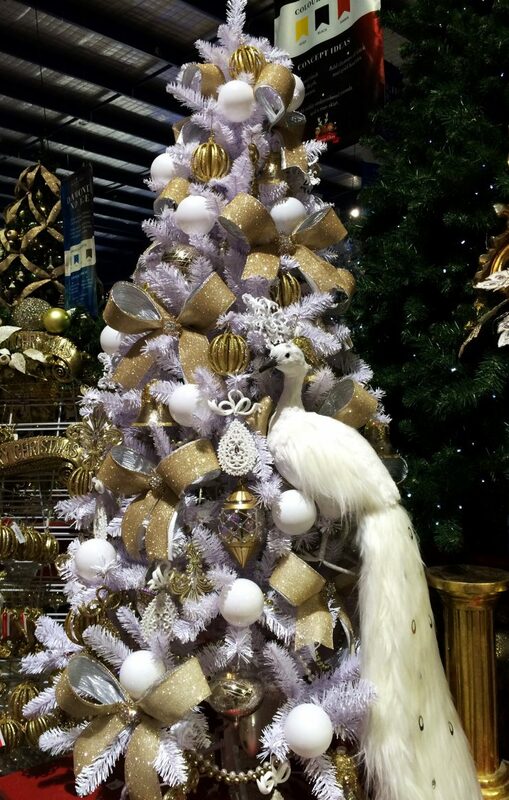 Our 10ft tree stands on a platform and is the first feature you see on entering the store. I started with the tree topper using golden leaves, and poinsettia. Then to contrast I added pearl sprays. The rest of the tree features larger decorative pieces such as gold crowns, angels and reindeer. Glass baubles and miniature chandeliers add extra sparkle. 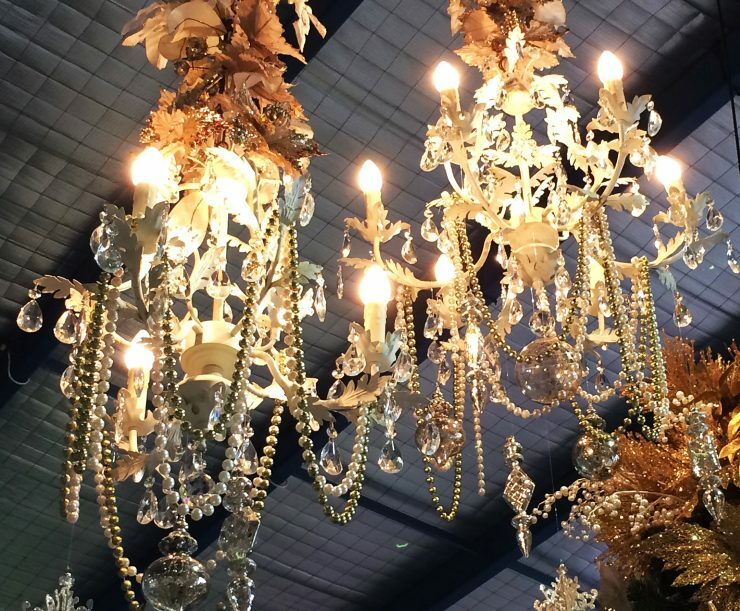 We had some amazing large scale pieces by Katherine’s Collection that really add the wow factor like the stunning life size Santa and white/gold peacock. The finishing touch were the chandeliers hanging from a grid suspended above the tree. The chandeliers metal chains are disguised with clip on flowers and beaded garland is draped around the metal frame. I had so many great pieces that I also decorated a white tree in champagne tones which stands next to the larger tree. You might not guess but this tree really is a mix of high and low. Expensive glass baubles next to plastic pearls but it all works. I added diamanté brooches to the centre of these bows for extra sparkle!